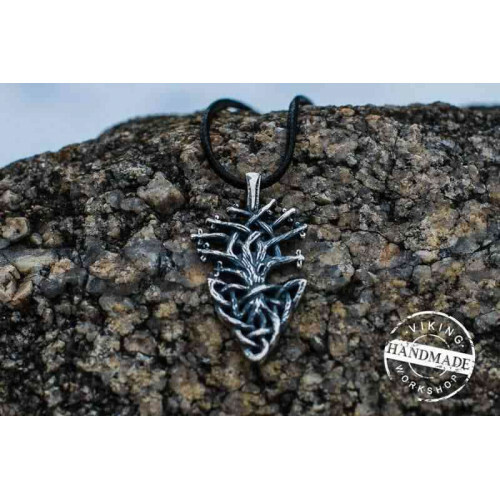 This is an amazing pendant amulet which is recommended to people who aim to find the inner balance, the balance of mind and soul, of spirit and body. As the gods met at the tree to solve the problems of their worlds, then the tree has become a symbol of knowledge and eternal wisdom. The tree units heaven, earth and underworld. The tree of life will help you find proper wise solutions to any problem you face in life. This pendant is handmade and is crafted of high quality bronze. However this type of pendant is also available in sterling silver. Every pendant from our store is made by order and crafted with great passion to details. It is not stamped.